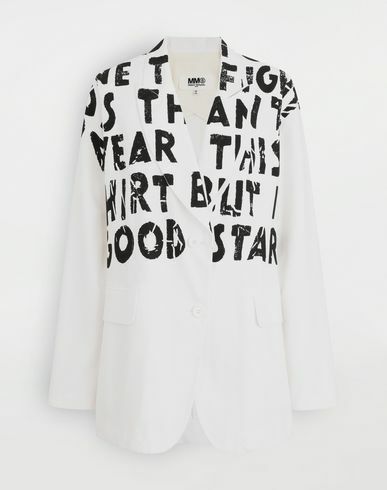 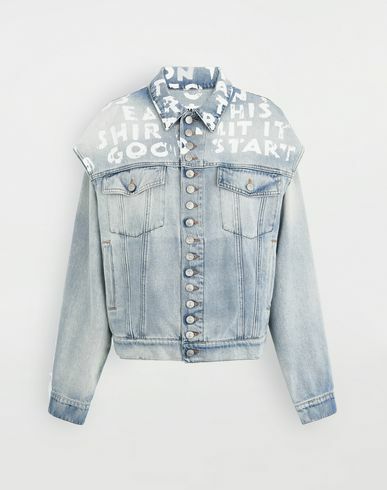 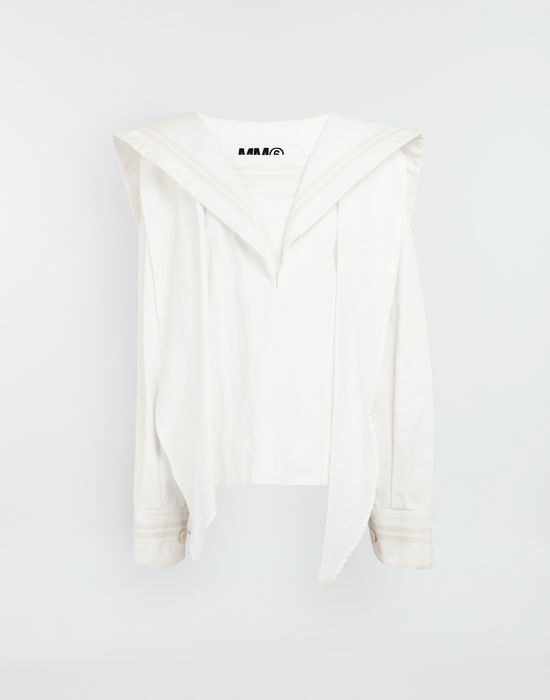 Made from pure cotton, this sportsjacket follows a sailor-inspired top silhouette. 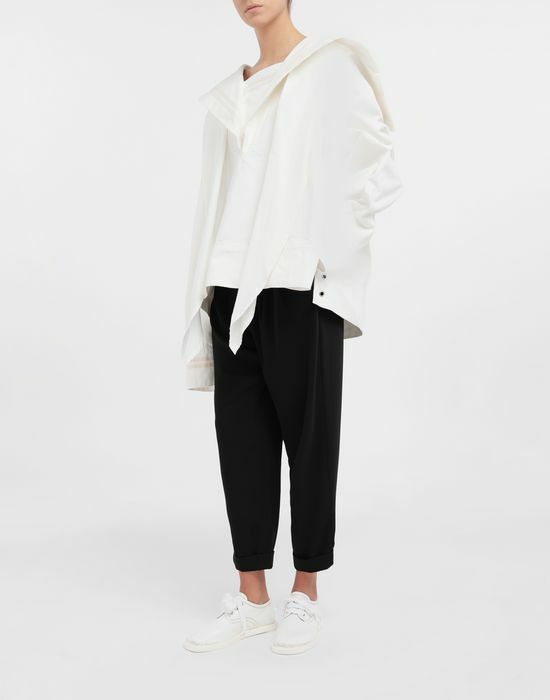 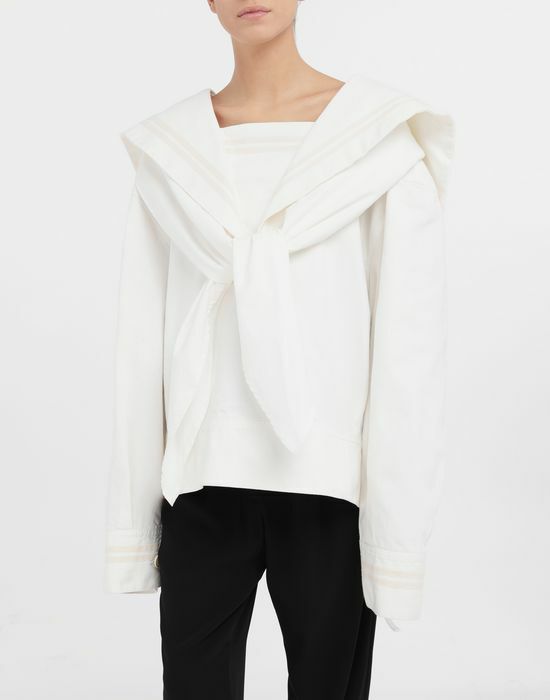 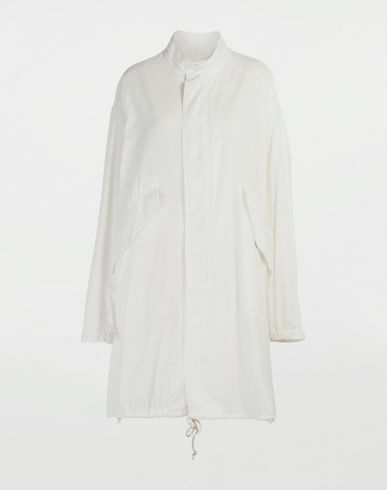 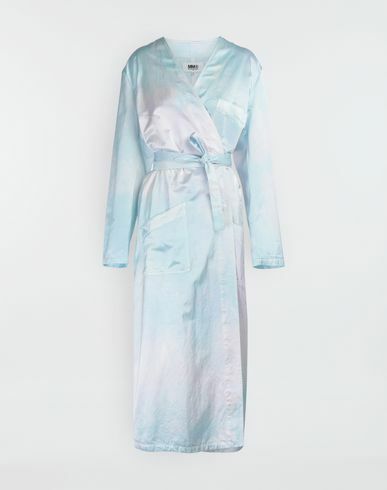 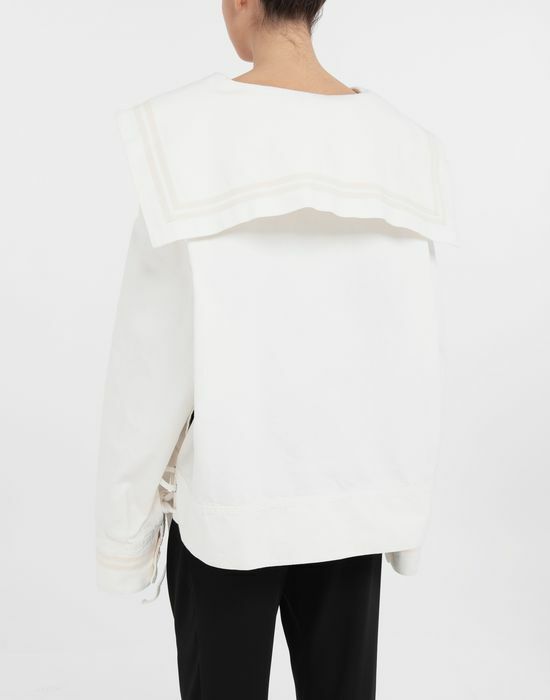 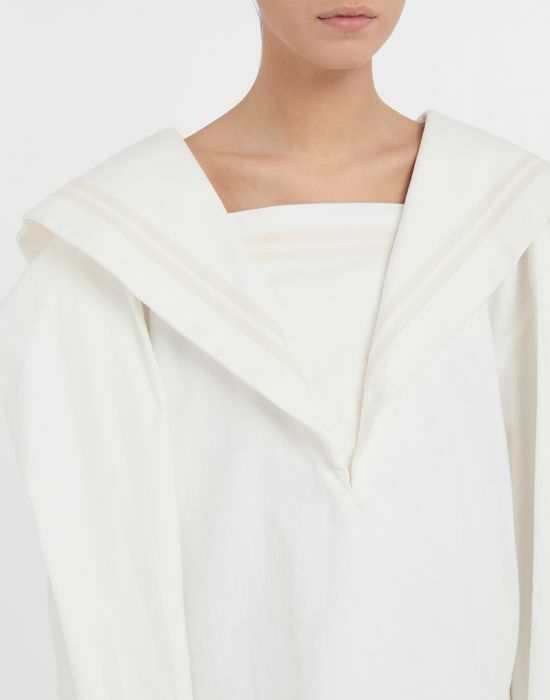 This oversized piece incorporates long sleeves and an enlarged necktie that continues into a rectangular panel at the back. 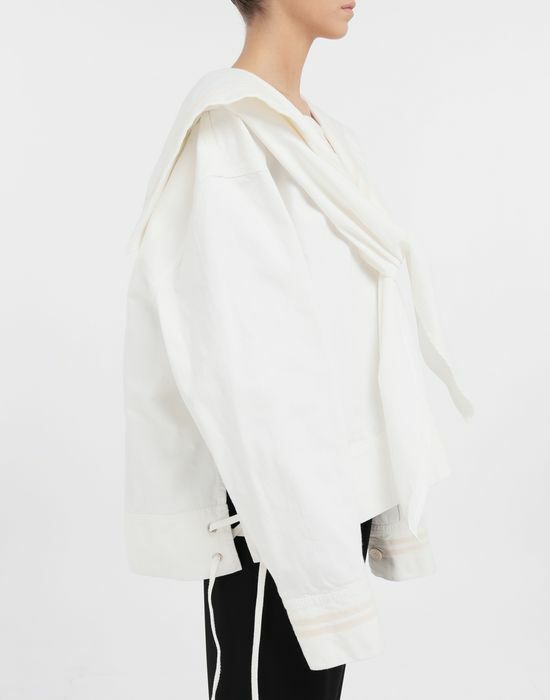 Tonal sportif stripes line the collar and cuffs with drawstring ties at the side hems.